Now you will know how it's like to take your sound where ever you go! 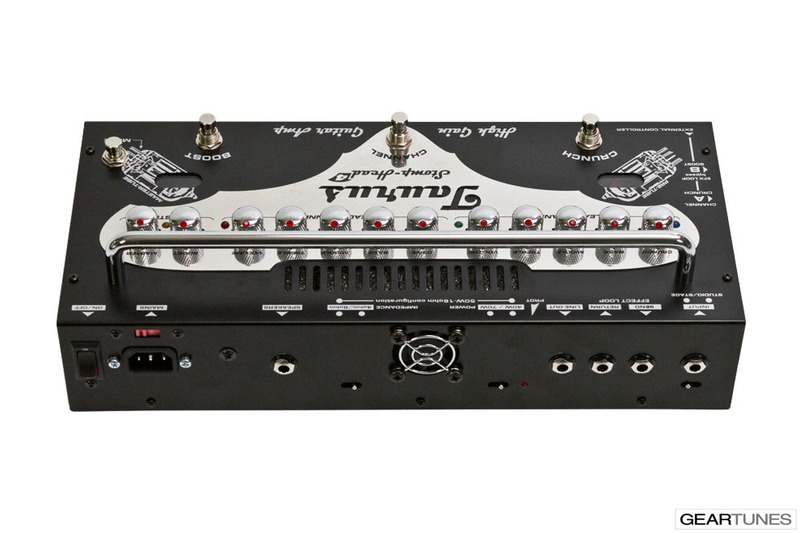 The Stomp-Head 4.High Gain is an ultra light, very compact floor amplifier with integrated foot-switch, designed to be set on the pedal board, along with effects or, placed directly on the stage floor. 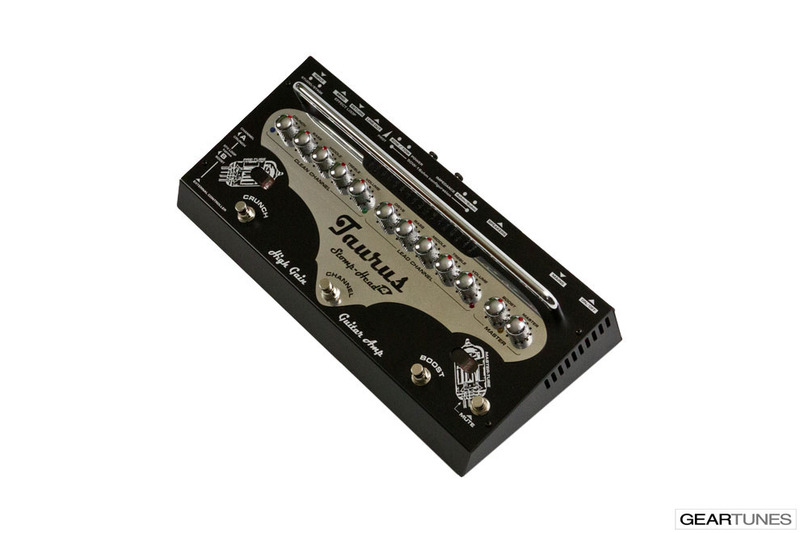 It greatly benefits the player with immediate access to all amps potentiometers and options. When the amp is set on the pedal board only one wire (speaker wire) is needed to setup the guitar sound on stage. This amplifier can also be placed on a top of a cabinet like a regular head. You can control the amp modes with an external controler or simple footswitch thanks to external controler socket. 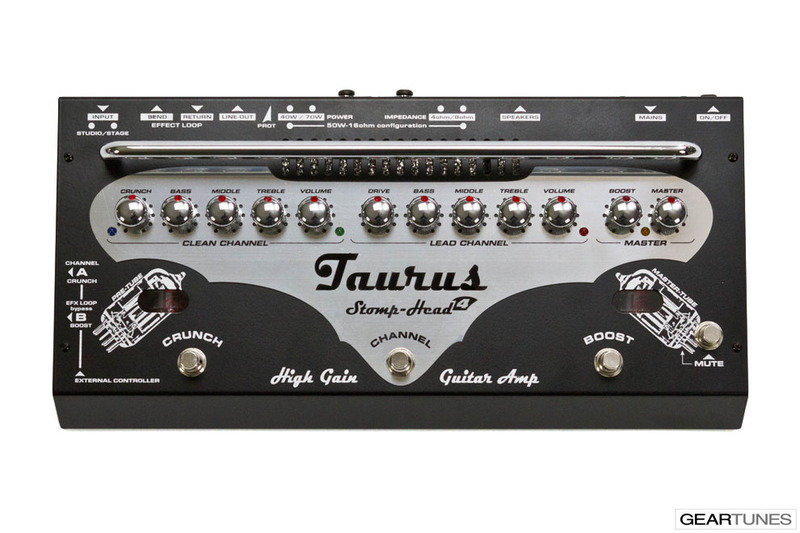 The Taurus Stomp-Head 4.High Gain is an analog guitar amplifier based on tube technology which shapes sound in both preamp and power amp sections. The power amp is a hybrid build of transistors and tubes. The tubes are responsible for the dynamic and overall sound of the amplifier's output. All unwanted characteristics of the transistors are eliminated in order to preserve the true sound off the tube amp. Its details were carefully engineered and crafted to ensure the purest tube sound of the amplifier with the transformer output. Dynamic, compression and distortion characteristics are the same as in classical, high end tube amps. The sound is clean, punchy and saturated. The amplifier features two (2) channels: Clean/Lead & Master section. Each channel can be independently selected by built-in foot switch. The sound of both channels is controlled through a three-point equalizer and volume potentiometers. While using the CLEAN channel, the over-driven CRUNCH sound can be selected via the food-switch and fluidly adjusted by potentiometer. The LEAD channel uses specially designed DRIVE circuitry to enrich harmonics and make the instrument’s sound characteristics even more vivid. This setup provides three different sounds under the player foot. The MASTER VOLUME and BOOST knobs shared by both channels can be found in the MASTER output section. The BOOST function allows a guitarist to mix his own stage sound. By pressing one of three switches on the top of the amp, obtain the two volume levels previously adjusted for chords or solos. The Stomp-Head amplifier is also equipped with a serial effect loop. The LINE OUT with a speaker cabinet simulator allows the connection of the amplifier to a mixer or an external power amp. 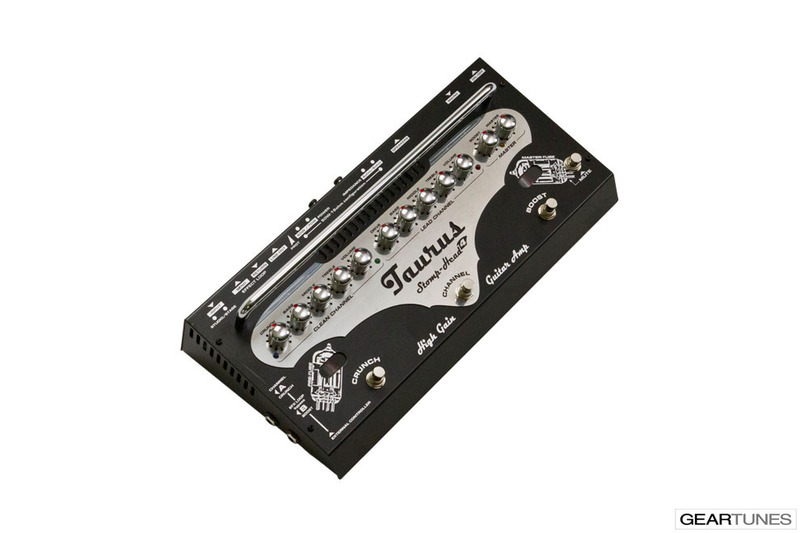 Another special feature of the Stomp-Head is its power reduction switch which enables musicians to choose between a 70 or 40 Watts of power as well as a specially designed circuit which reduce the loudness of the amplifier while the full force of power stage is used. This function allows to use the amplifier at home or in studio on low level of loudness with the sound of fully cranked amp. Stomp head allows to use 4, 8 and 16 Ohm cabinet. The speaker impedance selector is placed on the back of the amplifier.